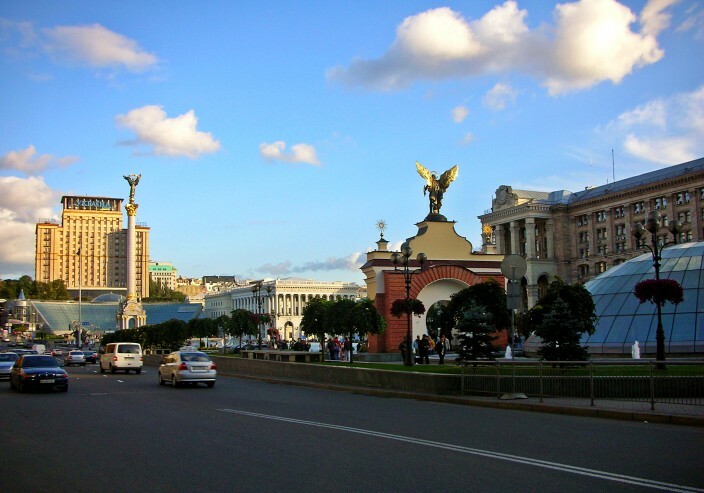 Outside the St. Sophia compound are the wide open spaces of the Bohdan Khmelnytsky square, dominated at the far end by an impressive monument of the dude himself. Bohdan Khmelnytsky (1596-1657) was a famous hetman or ruler of the Zaporozhian Cossacks and is widely revered across Ukraine as one of their great heroes, though his legacy is a bit more tangled than this might suggest. In 1648 he led an uprising against the ruling Polish-Lithuanian Commonwealth which resulted in the creation of an independent Cossack state comprising roughly similar boundaries to present day Ukraine. A complex series of military and political events over the next few years led him to accept a treaty allying the Cossacks to Russia, thus paving the way forevermore to centuries of dominance from their neighbors to the north. Anyway, you’ll find the guy’s mug all over the country. His face is plastered on money, there’s a sizable city in western Ukraine named for him as well as an entire oblast or region bearing his name, and monuments and statues galore. 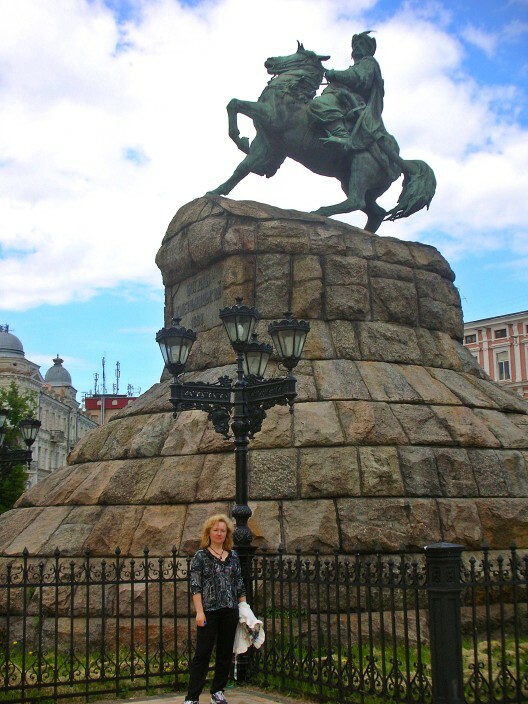 This one in Kyiv is certainly one of the biggest and best, with Bohdan astride his trusty steed who rears skyward, all in the best Lone Rangerish pose imaginable. All that’s missing is a button to push and hear him proclaim, “Hi-yo Silver, away!” in Ukrainian. 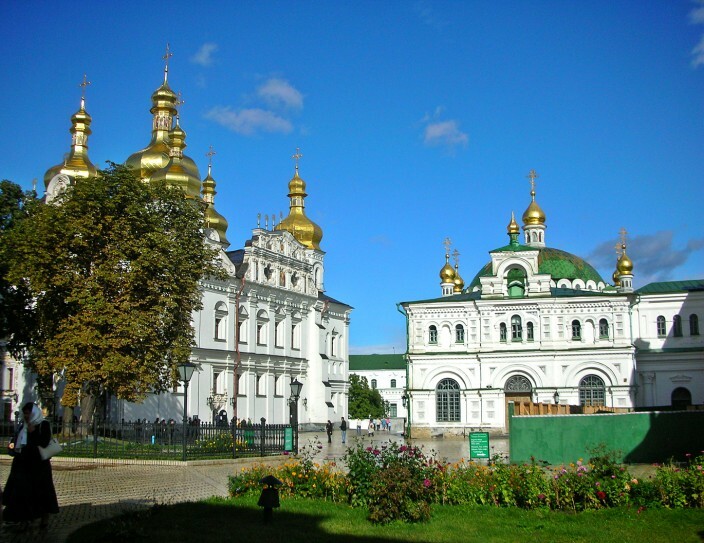 You can’t visit Kyiv and miss out on the complex at the Pechersk Lavra, the Monastery of the Caves. Located a short trolley ride from the center of town, it boasts two cathedrals, a bell tower, and world famous catacombs and museum collections. 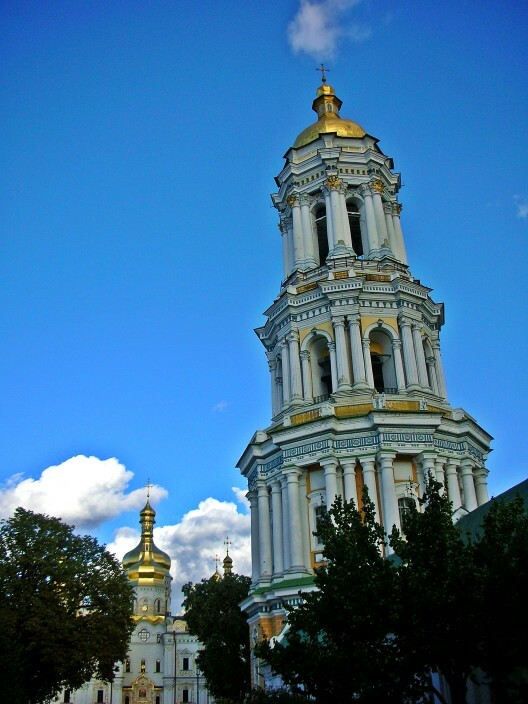 Pechersk Lavra, along with the St. Sophia Cathedral, is designated as a UNESCO world heritage site. 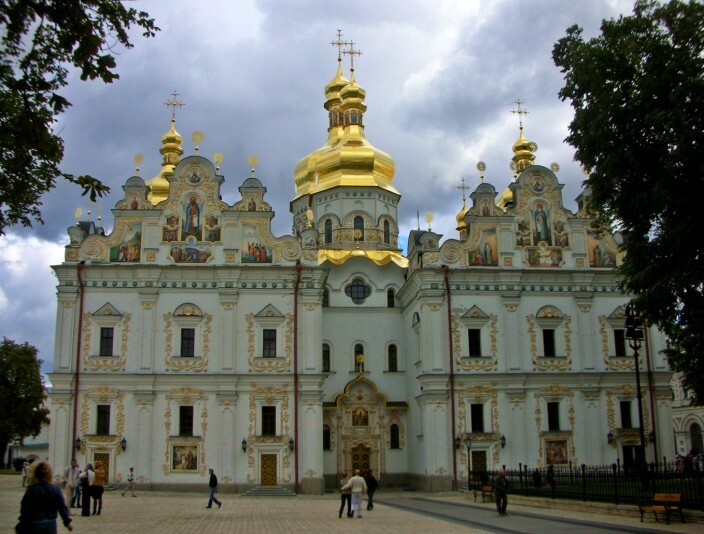 It differs from St. Sophia however in the fact it is still a working monastery today. 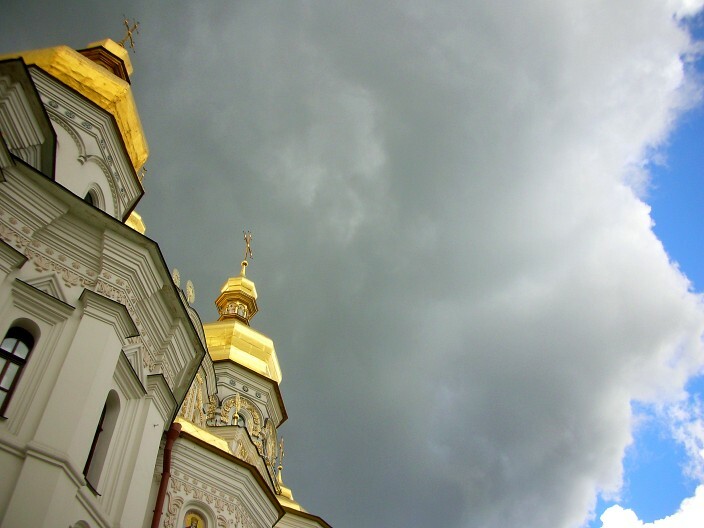 The whole place is built on a ridge overlooking the Dnieper River, with the Great Lavra Bell Tower being one of the most notable features of the Kyiv skyline. At a height of 96.5 meters, about 300 feet, it was at the time of its construction the tallest freestanding bell tower in the world, and remains an impressive edifice today in its four-tiered wedding cake style. The caves are a vast series of narrow underground corridors housing living quarters, chapels and burial sites. Many famous and not so famous folks have been buried here over the centuries including saints, Metropolitans, historical figures and even a Pope, Clement the First. Well, his head is there, anyway. Apparently the rest of him resides in San Clemente in Rome. Why you would want to decapitate the Pope and leave him in various locations like this, I don’t know. Maybe he was so holy he couldn’t be contained in one spot, and in a burst of Solomonic wisdom someone decided to spread his Holiness around. 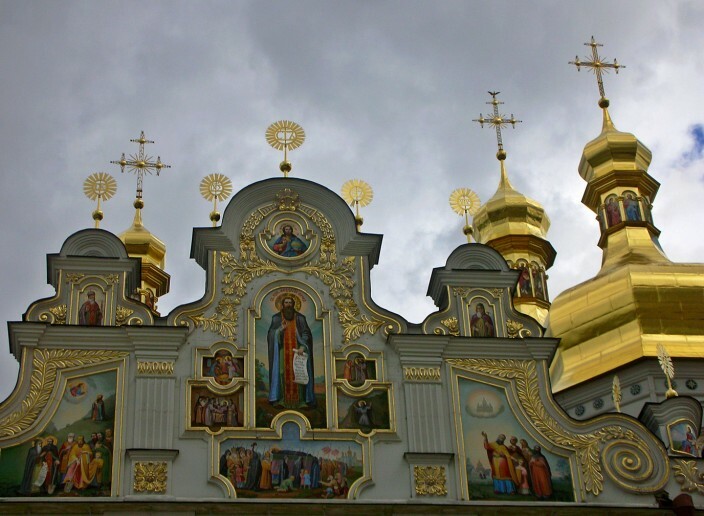 The Dormition Cathedral, destroyed in World War II, was fully reconstructed in recent years and is a real beauty, with its plethora of gilded domes shining against a blue sky. The Museum of Historical Treasures of Ukraine is a gem, both literally and figuratively, boasting Ukraine’s largest collection of artifacts from the earliest days of civilized settlements in this part of the world right through the centuries of czars up to Soviet times. Religious icons, military hardware, Scythian gold, and all manner of jewel encrusted stuff, pots, bowls, goblets, you name it, they got it. If you like this sort of thing, you could truly spend hours strolling through this museum. 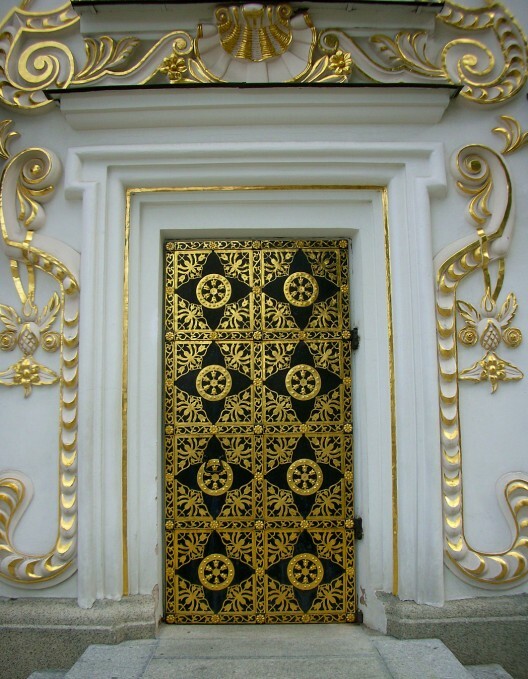 There’s one place in the Pechersk Lavra complex which is an absolute must-see-it-to-believe-it, one-of-a-kind stop. The Micro-Miniature Museum of Mykola Syadistry (born 1937) is really just one room full of one man’s artwork – the tiniest, most delicate and truly unique collection of miniature art in the world, all of it viewed through extremely powerful microscopes. Here you will find such things as the world’s smallest book, twelve pages which include some of Syadistry’s verse and a self-portrait, all measuring a mere 0.6 millimeters across. Other pieces are “Long Live In Peace” engraved on a human hair; a golden chess set on the head of a pin; and a portrait of Russian composer V. V. Andreev etched on glass and set in one half of a poppy seed, while in the other half sits his balalaika, the strings of which are forty times thinner than a human hair! It isn’t until you actually view these amazing works through the microscope and then step back and try to see them with your naked eye that you begin to appreciate the man’s artistry. Head shaking and looks of astonished disbelief are the standard reaction. 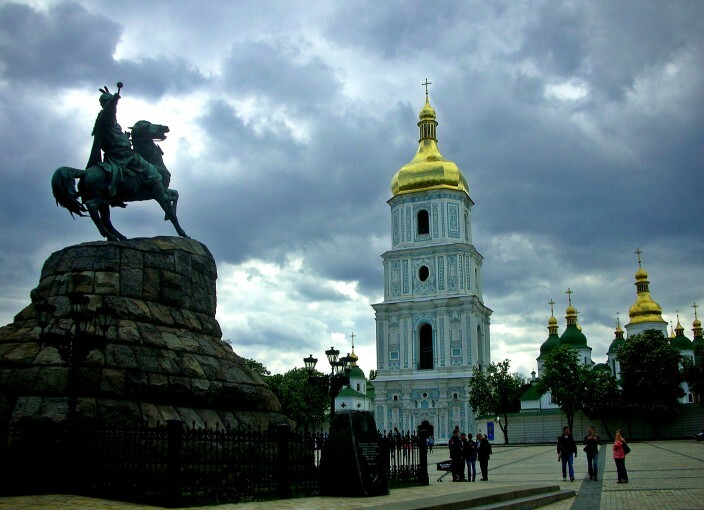 While in Kyiv you also owe it to yourself to spend some time strolling along Krishchatyk Street and through Independence Square. 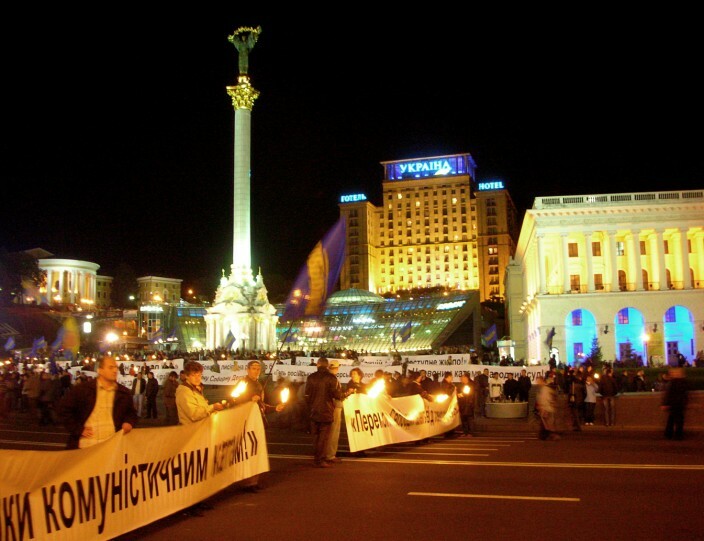 This is the throbbing heart of the city, and the site of the huge protests and demonstrations of the so-called Orange Revolution in response to the presidential run-off election of 2004, which was marred by massive corruption, voter intimidation and outright electoral fraud. The massive and mostly peaceful protests ended with the rigged election results being tossed and a re-vote ordered, which reversed the original results and was deemed a fair and free election by international overseers. The most striking thing about the whole affair was to see the will of the people expressed openly and successfully by largely peaceful means, with no rioting or tear gassing or window smashing and looting like you would see just about anywhere else in the world, an admirable story of true people power played out in the streets, and all this in a country still in its infancy as a democracy. Maybe that’s the secret; they didn’t know any better. But all that aside, Independence Square is just a cool place to hang out and see the city come alive, especially at night. 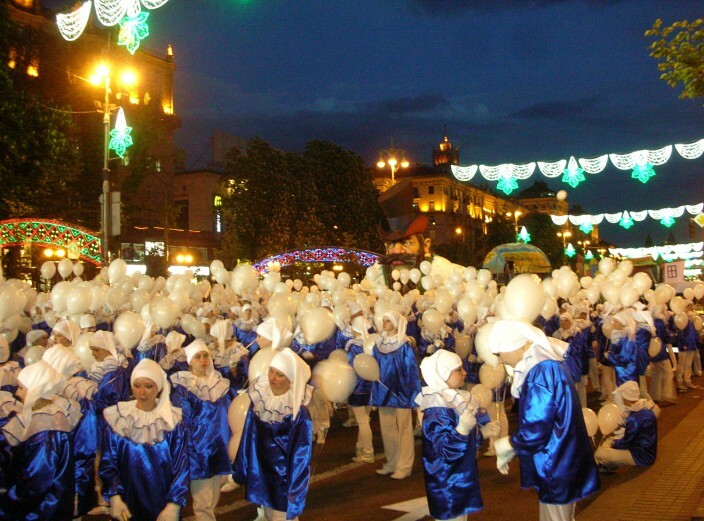 The main drag, Krishchatyk St., is often cordoned off to vehicles on weekends and hosts dancing and singing competitions and concerts, and is always full of thousands of people out milling about on the streets enjoying themselves. At first I thought this a little threatening seeing roving bands of mostly young people whooping it up, but everyone seems intent on simply having a good time and once I relaxed it was fun to watch and be a part of the atmosphere. 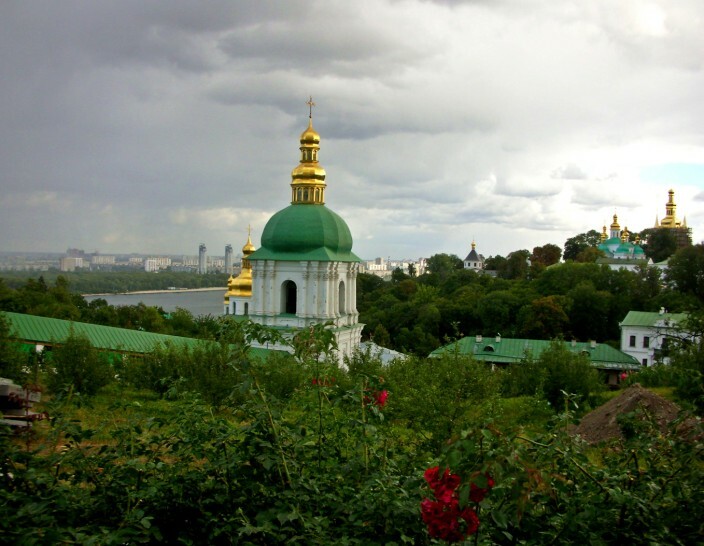 Of course there is plenty more to see and do in Kyiv than what I’ve detailed here, but this is intended as an overview of a few highlights more than an exhaustive list. So what are you waiting for? 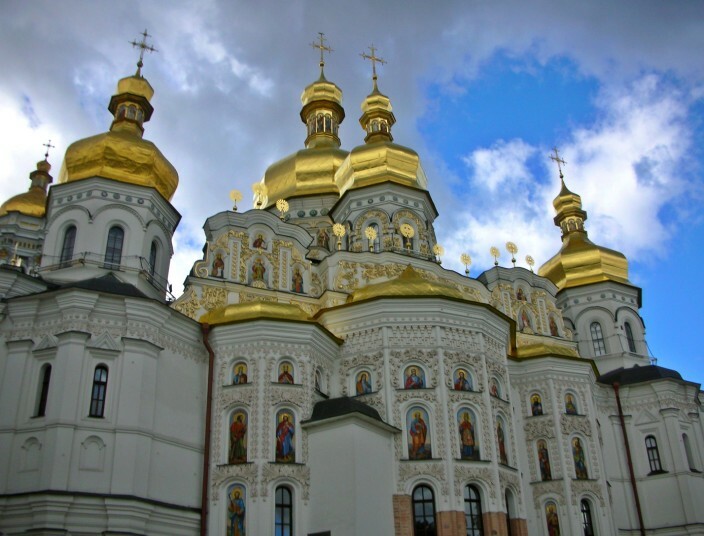 Get yourself to Kyiv and make your own personal discoveries and memories in this bustling and vibrant Eastern European capital city. thanks for looking google, and thanks for the compliments, words like that keep me going!